Neykor means pilgrimage in Dzongkha - ney refers to a place or holy place, kor means to go around. A special program led by Dr Karma Phuntsho, author of History of Bhutan, who completed his Tibetan Buddhist monastic training in Bhutan and India before he joined Balliol College, Oxford, to read Sanskrit and Classical Indian Religions. Neykor means pilgrimage in Dzongkha - ney refers to a place or holy place, kor means to go around. A special program led by Dr Karma Phuntsho, author of 'History of Bhutan', who completed his Tibetan Buddhist monastic training in Bhutan and India before he joined Balliol College, Oxford, to read Sanskrit and Classical Indian Relligions. (Dr) Lopen Karma Phuntsho is the Director for Shejun Agency for Bhutan’s Cultural Documentation and Research. He was a Research Associate at Department of Social Anthropology and Spalding Fellow for Comparative Religions at Clare Hall, Cambridge University and a researcher at CNRS, Paris. Dr Phuntsho finished full Tibetan Buddhist monastic training in Bhutan and India before he joined Balliol College, Oxford to read Sanskrit and Classical Indian Religions. He received a D.Phil. in Oriental Studies from the University of Oxford. He was also a visiting fellow at Harvard, a lecturer at Ngayur Nyingma Institute, Mysore and acting abbot of Shugbseb Nunnery, Dharamsala before he joined Oxford. Dr Phuntsho’s earlier works were in Buddhist philosophy, epistemology, Tibetan language and religion. His current researches focus on Bhutanese historiography, socio-cultural changes in Bhutan and intervention through education, books and manuscripts in the Buddhist Himalaya and the exploration and preservation of Bhutan’s cultural heritage. 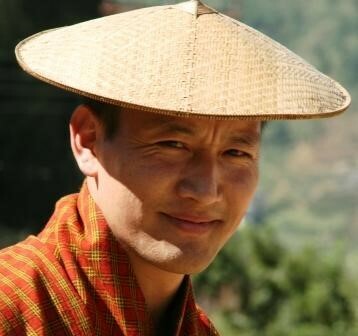 He is a leading expert on Bhutan and the author of several books and numerous articles. He founded the Loden Foundation, a charity to promote education and entrepreneurship in Bhutan. Find out more about Dr Karma Phuntsho here. Welcome to Bhutan, The Land of the Thunder Dragon, and the Land of Gross National Happiness. Be welcomed by Dr Karma and allow him to introduce the outline of the programme. During the trip, we will be having daily morning meditation and breathing exercise and after dinner discourses on various topics related to Buddhism. Today, we will visit Kyichu Lhakhang followed by a meditative session on Bodhicitta and Cultivation of the Right Intention around Drukgyal Dzong. Discourse I: Introduction to Buddhism. Travelling to Thimphu, we will stop along the highway to visit various Dzongs where Dr Karma will detail their site history and explain Bhutanese Monastic Arts. Prayer and meditation will be conducted at Tashichodzong (Thimphu Dzong). Discourse II: The Three Phases of Buddhism. Visit Punakha Dzong, the former seat of power of Bhutan and capital city. Immerse yourself in her grandeur as you sit mindfully and observe. Discourse III: Mahayana Buddhism and Bodhicitta. As we continue our trip in the winter warmth of Punakha, also the winter palace of the Je Khenpo of Bhutan (Chief abbot), we will visit Khamsum Yule Namgyal. Afternoon meditation by the Tashithang riverside. Visit the mystical cliffside temple of Beyul Langdrak, another majestic temple much less know to the outside world and quite truly off the beaten track. A 75 minute hike to reach the temple and we will meditate upon Guru Rinpoche in her chambers. Discourse V: Interdependence, Non-self and Emptiness. As we near the end of the programme, we will drive back to paro from Punakha tracing the route we have driven and return to the resort hotel of Nak-Sel. Discourse VI: Carrying on Daily Practice. We bid a fond farewall and depart Paro for Singapore on KB500.